The economy and the real estate market are finally on the upswing after the ‘Great Recession’. However, in many locations, the housing market is still slow. Homeowners who want their houses to sell need to do some homework before putting up that For Sale sign. Here are several tips to help your house sell sooner rather than later. A house priced too high will languish on the market. Before listing your home for sale, make sure the price is appropriate. Look at the prices of recently sold homes in your neighborhood. Focus on houses of similar size and condition to yours to find the best comparable sales prices. Also, it may be worth having your home appraised to ensure that the list price is close to the actual market value. Prospective buyers want to see a pristine house. Make your home look perfect, inside and out, before you list it. Stop putting off all those repairs. Replace the cracked window, and fix that leaky faucet! Curb appeal is a huge selling point. Your yard should be neatly trimmed and completely clean. It’s time to put away the garden gnome. Consider hiring a professional landscaper to make your house stand out from the crowd. The inside of your house should be spotless. Research home staging or hire a professional stager to prepare your home for listing. At the very least, de-clutter your house and remove all personal items. Prospective buyers want to imagine a house as their home, not yours. Photographs accompanying a MLS listing are typically a buyer’s first introduction to a house. Buyers often dismiss a house based on photographs alone, so make sure that yours are the best quality possible. Hire a professional photographer. Make sure your house is clean and well-staged. More photos are always better than less. A good real estate agent is key to selling your house quickly. Find an agent experienced in selling homes in your community and who has a well-organized marketing plan. 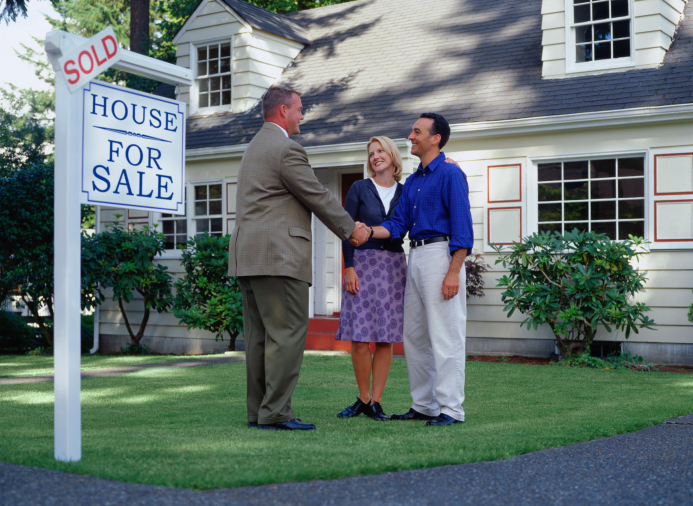 A good agent will not only give you the above tips, but will also customize them to the demands of your neighborhood. Pick up the phone today and chat with a real estate agent for more information while weeding the flower bed or de-cluttering the den. Soon enough, you’ll be loading boxes onto a moving van as you journey onto your next adventure. Previous PostPrevious Should You Take Photos When Viewing A Home For Sale?